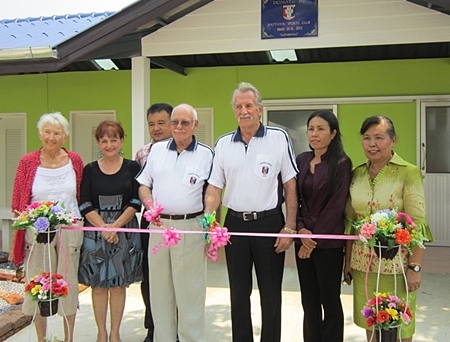 With the number of disabled people increasing, it was decided, in 1994, to establish another home for the disabled situated along Sukhumvit Road in Banglamung opened by Her Royal Highness Princess Maha Chakri Sirindhorn. 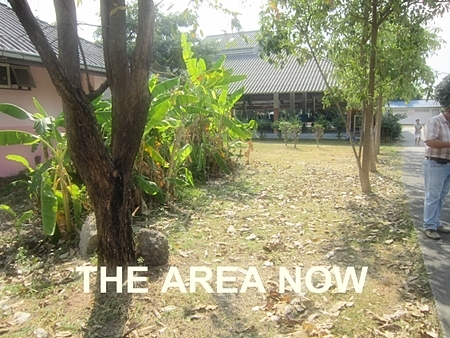 It is home to 450 physically and mentally disabled ladies in ages ranging from 18 to 97. More recently an additional 250 ladies came to stay having been displaced from their home in Bangkok because of the flooding in that area. The aim of the centre is to provide care services to ladies that have been abandoned or neglected by their families and have no means of support. There are 9 dormitories housing approximately 50 ladies in each, most of them sleeping on the floor. There are 22 staff on duty at any one time but only one qualified nurse at the centre. Benefactors and guests cut the ribbon to officially open the new facilities. When you first visit you cannot fail to be impressed by the fact that everything is spotlessly clean as a result of the hard work by the staff. 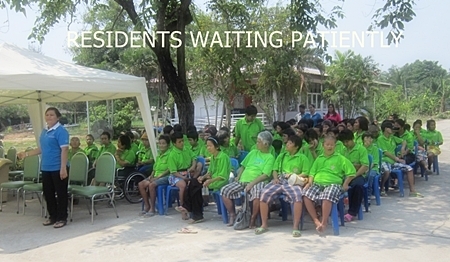 Residents are happy and always delighted to see visitors. 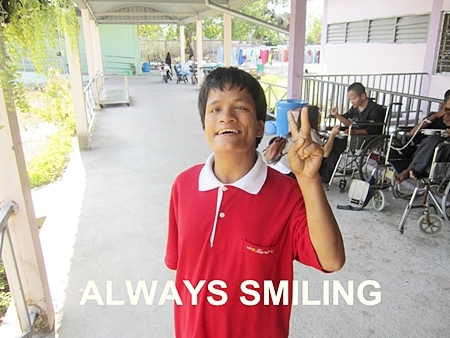 Some of the lesser disabled are helping others to wash, wash clothes, eat their meals and push wheelchairs. Many residents eat in the dormitories but those that have some mobility by walking or by wheelchair, have their meals in the eating area. Unfortunately there are no toilets close by and, those that are caught short have to go 200 yards to the nearest toilet and many do not make it and even some, who have limited mobility, do not eat in this area in case of emergency. The superintendant Siriluk expressed the need to have some toilets close by to make everything more convenient for the ladies and have approached the council in this respect, but the request was made some time ago. 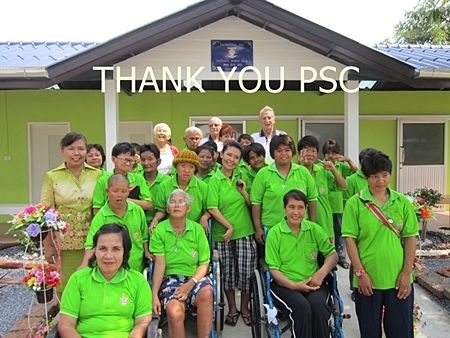 She then contacted Pattaya Sports Club to ask if they could help and, as usual, PSC are always happy to help those in need whenever possible. As you can see, a well designed building has been erected with facilities for both wheelchair users and those that have some mobility. A facility that will make life just that little bit easier for the residents. Can you reverse the aging process?